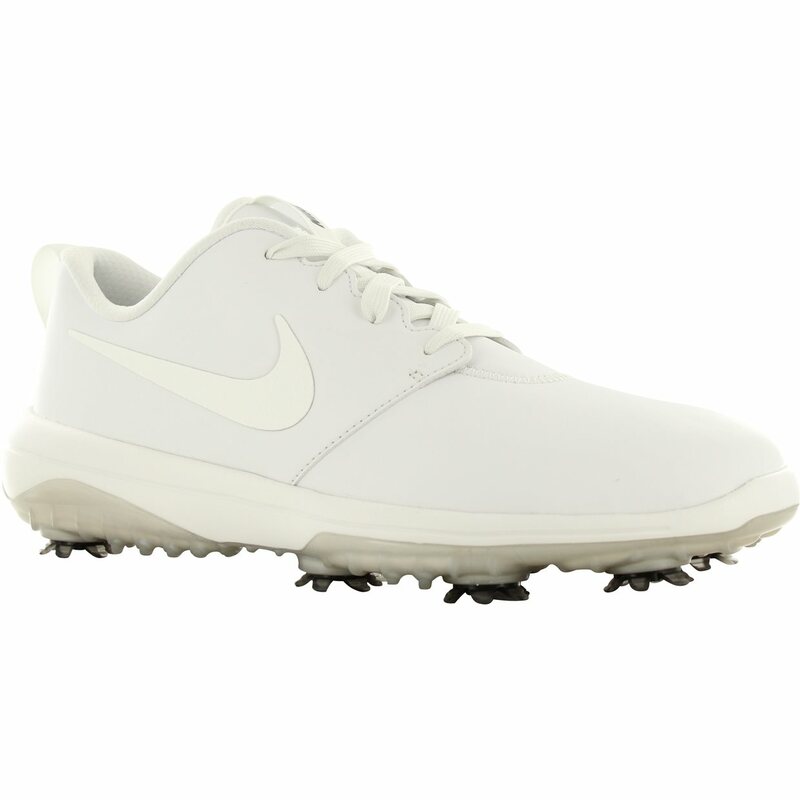 The Nike Roshe G Tour golf shoe is designed based on the famous Roshe sneaker. The golf shoe is easy on the eye while also offering tremendous benefits. The synthetic microfiber upper is waterproof and comes with a 1 year waterproof guarantee. Comfort and foot support features include Lunarlon cushioning, a plush midsole, an 8mm fitsole sockliner, an internal heel counter that stabilizes the foot, and extended saddle overlays that support the foot through each swing. An additional feature is the Slim-Lok spike system. 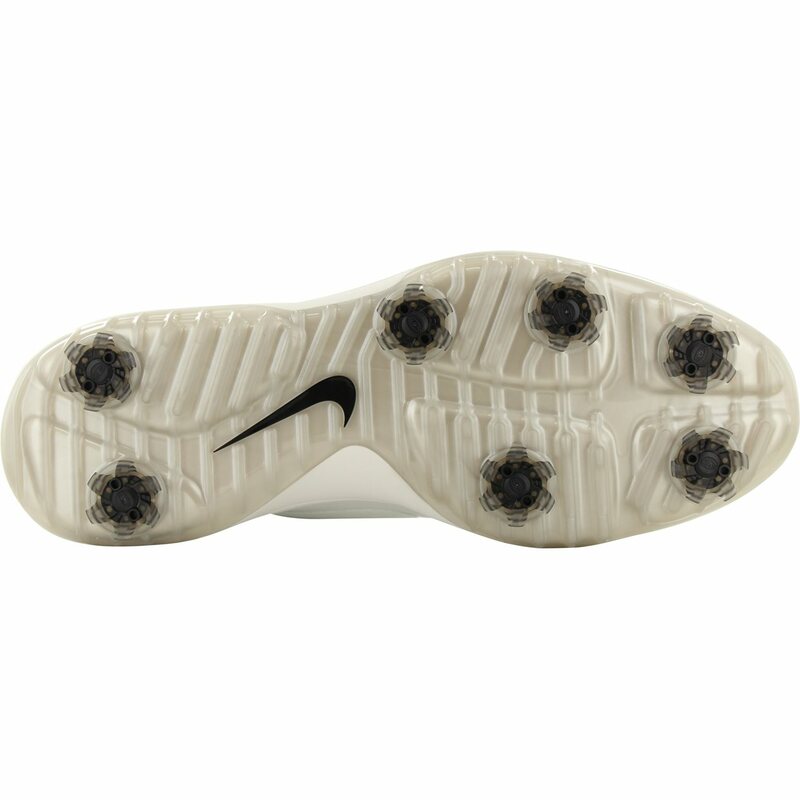 This allows the 7 removable champ PiviX spikes to be locked into place so excellent grip is provided on the golf course. 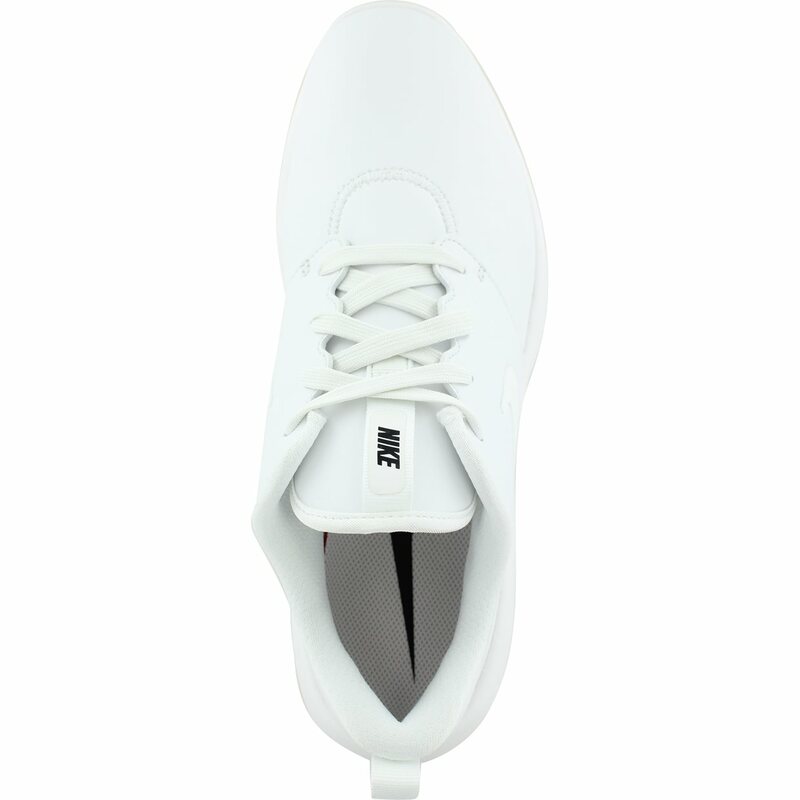 The combination of the gel filled sole & the comfort of the roshe design itself is a heavenly. Very light for looking like a bigger shoe and man do they perform well! Very pleased, will be ordering a pair in black soon.